Veteran investors Doug Casey and Rick Rule discussed gold, cryptocurrencies and their favorite stocks at the Vancouver Resource Investment Conference. This year’s Vancouver Resource Investment Conference (VRIC) just wrapped up, and it was a busy show for the over 8,000 attendees who had the chance to hear from thought leaders and experts. One of the most popular panels of the 2018 edition was a question-and-answer session featuring Doug Casey of Casey Research and Rick Rule of US Sprott Holdings. The 20-minute panel was moderated by Marin Katusa of Katusa Research, who asked the experts about cryptocurrencies, the commodities they are watching in 2018 and their top stock picks for the year. Read on to learn what they had to say. Katusa began by asking the experts to share their thoughts on cryptocurrencies. Casey told the audience that he was given his first bitcoin in 2013 when it was worth just over $14 — prices are now over $10,000. “The fact that [VRIC] is a resource conference and everyone is really interested in cryptos, and the fact that [they are] everywhere says something. I am not saying the party is over, but you’ve got to be careful if you invest in these things,” he said, adding that back in August he invested in digital currencies and received a seven-to-one return. “I don’t have much interest in speculating in cryptocurrencies,” Casey added. For his part, Rule explained that Sprott entered the cryptocurrencies business not because the space is hot, but because the distributed ledger system is a more efficient way to disintermediate gold ownership storage and transactions. “The fact that at Sprott we receive so many calls about cryptocurrencies makes me suspect that what Doug is saying is very wise,” Rule said, explaining that his background is as a securities analyst. “There are several crypto companies with million-dollar market caps that don’t have $1.98 in collateral, which is kind of scary,” he added. Katusa’s next question was about what commodities the experts like the most in 2018. Rule mentioned that for equity investors, the place to be is in the gold equity space. “I think gold itself performed reasonably well in 2017 and the gold stocks underperformed,” he said. Rule explained that heading into 2018, gold stocks will surprise people because expectations are quite low. “The expectations for the gold-producing industry are so low that [the market] can’t help but exceed them,” he said. 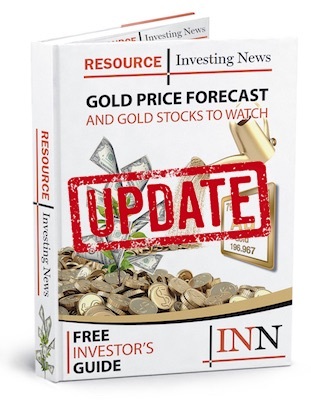 Rule believes that the exploration space will also surprise investors this year, mentioning companies such as Novo Resources (TSXV:NVO) and Barkerville Gold (TSXV:BGM), which are confirming this thesis. Casey agreed with Rule, saying that gold is the commodity he likes the most this year, and noting that this is the time to be in the metals space. He is also interested in cannabis stocks. “I am looking for the next bubble, and I believe the next bubble will be in mining,” he said, adding that he likes agriculture as a space to invest as well. Katusa then asked Rule about uranium, and whether it could be the ultimate contrarian resource play. “I think we can see a nice move in the uranium stocks this year for the same reasons the stocks have been low for so long,” Rule said, noting that if investors want to be in the uranium space in the next three to four years, they should participate in financings this year and get a four- to five-year warrant. In terms of political jurisdiction, Rule is agnostic, but said his preference would be the Athabasca Basin. “What I look for is a good in-place resource, and I want a really high-quality team,” he said. Rule’s favorite stocks in the uranium sector include Deep Yellow (ASX:DYL), NexGen Energy (TSXV:NXE,NYSEAMERICAN:NXE), Fission Uranium (TSX:FCU) and Uranium Energy (NYSEAMERICAN:UEC). In terms of where to invest in the junior space, Casey said he is buying small metals stocks. “I also own a lot in the cannabis space and in the cryptocurrencies, although they are expensive now,” he added. Finally, Katusa asked the experts to select their top stock picks from exhibitors at the show. Rule mentioned EMX Royalty (TSXV:EMX), Altius Minerals (TSX:ALS) and Equinox Gold (TSXV:EQX). Meanwhile, Casey selected Metalla Royalty and Streaming (CSE:MTA) as his favorite.